BMW recently released a video for its so-called “///M Town“, a fictional town that’s only inhabited by BMW M owners and enthusiasts. It was a fun video that showed what it’d be like to live in a town only occupied with M cars. If that video made you yearn for such a place in reality, BMW has good news for you. Sort of. BMW has created a sort of digital M Town where you can create your own digital I.D. tag, thus making you a “resident” of the town. To create a digital tag, follow the link above and you can create your own in a matter of seconds. 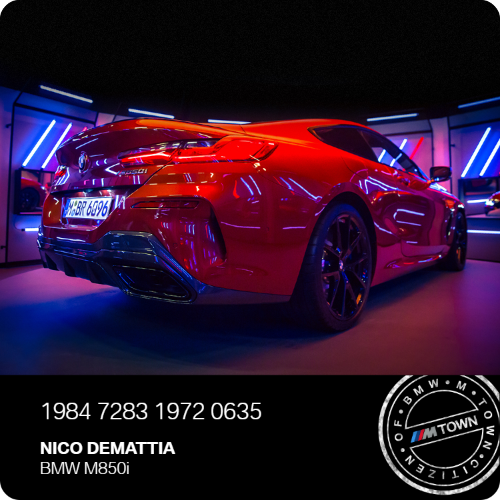 You just enter your name and choose a car, or upload a photo of your own BMW M car, and voila, you have BMW M Town residence. Hell, there are even BMW M Town ringtones to download. I honestly didn’t think ringtones were a still thing people cared about. It’s actually a fun promotional campaign by BMW that helps to connect BMW M owners from all over the world by allowing them to join this town of sorts. It’s essentially just an online group of fans that can connect via social media. Though, it’s clever and fun, even if it’s a bit gimmicky. Next post Could the BMW X2 M35i be America’s M140i?